It didn’t happen every week. But it happened enough times that Regiane Droppa Ferronato was discouraged. On Sabbath morning, Regiane would feed her family, get dressed, and walk to church in time for Sabbath School. Only to find the door bolted shut. Closed on Sabbath. Other times, she would arrive to find people cooking or cleaning, disrupting what should have been a peaceful worship. The problem was Regiane was worshipping in people’s homes. She and the other members of the Limoncito congregation in Panama had no church, so they relied on the hospitality of others who were willing to share their space. Or not—depending on the host’s schedule. In time, the Limoncito group purchased a piece of land, and then began the process of building a permanent structure. They started with a floor and a roof. Eventually they added a wall. But it wasn’t enough protection from Panama’s rainy season. Plus, as the congregation continued to grow, the space was too small. Just as one problem was solved, another challenge was created. Then, last year, Limoncito received word that Maranatha was coming to help. They only needed to level the property where a new church would be constructed. It would be expensive, but the congregation was willing to sacrifice in preparation for the gift of a sanctuary. For every member who had a job, they committed to giving $90 every 15 days. For those without regular work, they gave $25-30. For a family in rural Panama, $180 a month is a significant offering. It was a big step of faith. 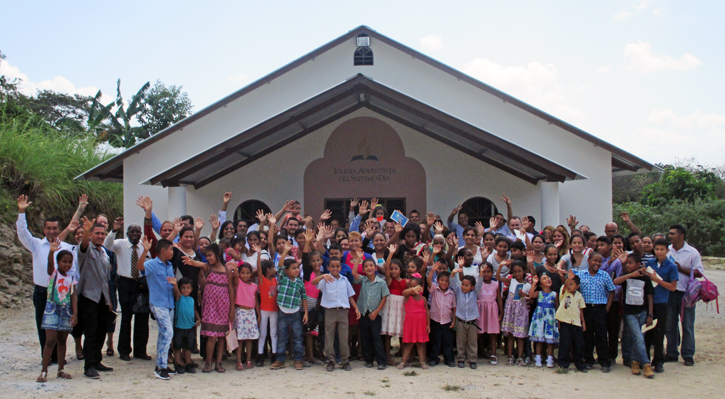 In February 2016, Maranatha completed construction on the new Limoncito Church. Already, the congregation has had several evangelism meetings—meetings that took place during and after construction—resulting in a dozen baptisms so far. Best of all, each Sabbath, more than a hundred people—members, visitors, and children—walk to the new sanctuary, ready to worship. And not once, have the doors been closed. The Limoncito Adventist Church is already a blessing to this community. But we still need funds to fully sponsor this church. If you can help, please contact Maranatha at (916) 774-7700 to make a donation.